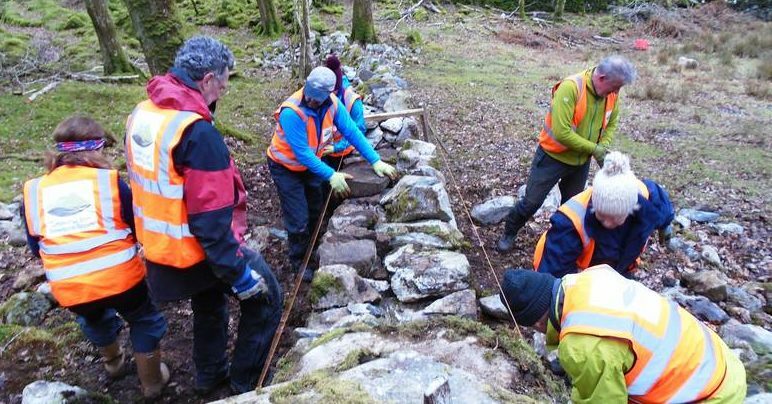 Learn the art of dry stone walling with the National Trust Rangers at Ogwen. You will have seen dry stone walls all over Snowdonia, as they are a part of our national park’s heritage. Come and join us for the day and learn how to construct these structures for yourself. Beginners and seasoned wallers welcome. If you’d like to join in this activity please make sure you have steel toecapped boots (a small selection is available to borrow, please inform Owain if you wish to do so).